With stunning views in all directions this is a truly unique place to stay. Our collection of luxury cottages are equally ideal for your romantic escape or a large family group getaway. 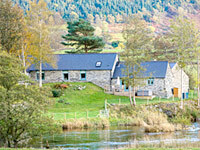 Come and stay with us at our luxury holiday cottages North Wales countryside on the banks of the River Dee. We want you to feel at home but with a little bit of luxury too! Rivercatcher's collection contains five luxurious cottages, one each of a one-bed, two-bed, three-bed, four-bed and five-bed, plus The Lodge. The Lodge is a place for special events, courses and also a fully equipped games room for those rainy days. Each luxury cottage will be let individually or as a collection, with accommodation for up to 30 guests at any one time. 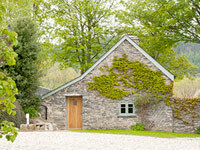 A romantic one bedroom luxury cottage full of character. Sleeping 2, cuddle up with its woodburning stove, inglenook fireplace and snug sitting room. You won't want to leave. 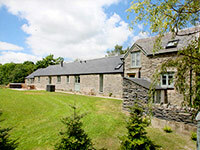 With two en suite king-size bedrooms this luxury cottage sleeps 4 people comfortably. 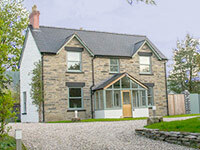 The light and airy open plan living with log burning stove overlooks the Berwyn Mountains. The most beautiful setting on the bend of the river, with its raised decked area outside and cosy inside, it truly makes the most of its position. Perfect for families, sleeping 6 in unrivalled luxury. A stunning riverside location and south facing garden, there is plenty of space for 8 people to dine, play, relax and enjoy time together in airy and luxurious surroundings. With 400 years of character inside and space to sleep 10, this luxury farmhouse is perfect for a large gathering or celebration, with ample space to escape the crowds or party all night.